Hnefatafl is a Viking board game similar to chess, it requires strategy and forethought. During the Viking Age playing hnefatafl was considered one of the noble skills all knights should know. The name Hnefatafl translates literally to "King's Table" or possibly "Fist Table" (game of the fist) and was often referred to simply as Tafl in the norse sagas. 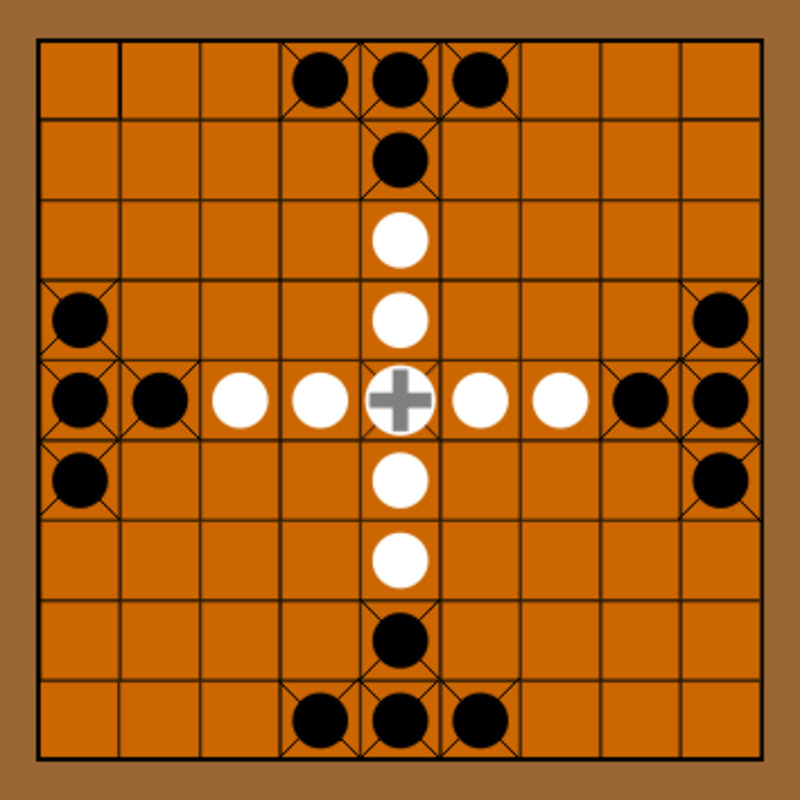 Technically tafl refers to any number of games. 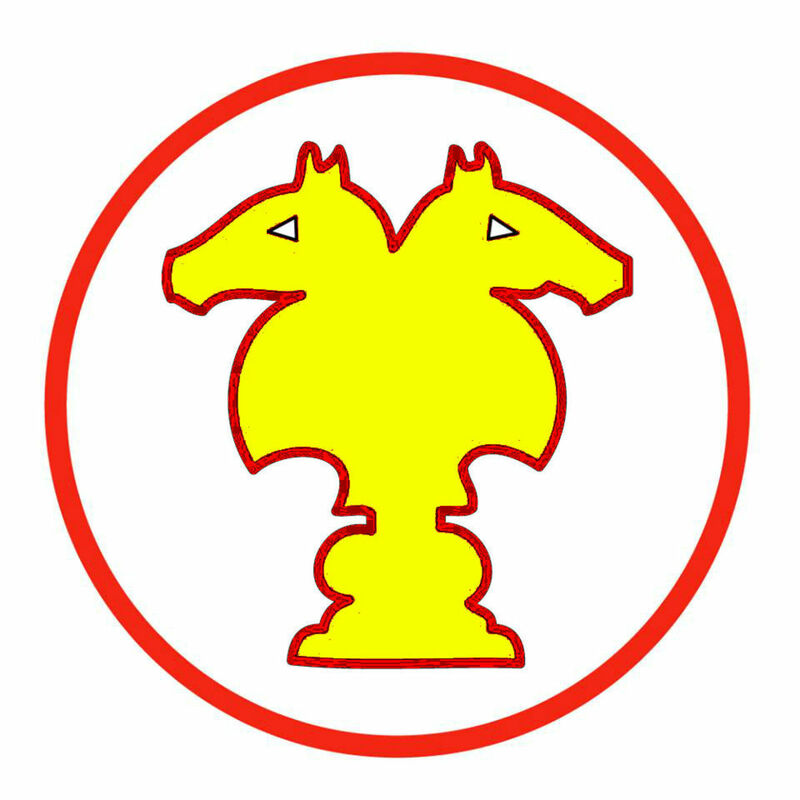 There is SkÃ¡ktafl which is chess, Halatafl which is fox table or fox and geese, and several more. 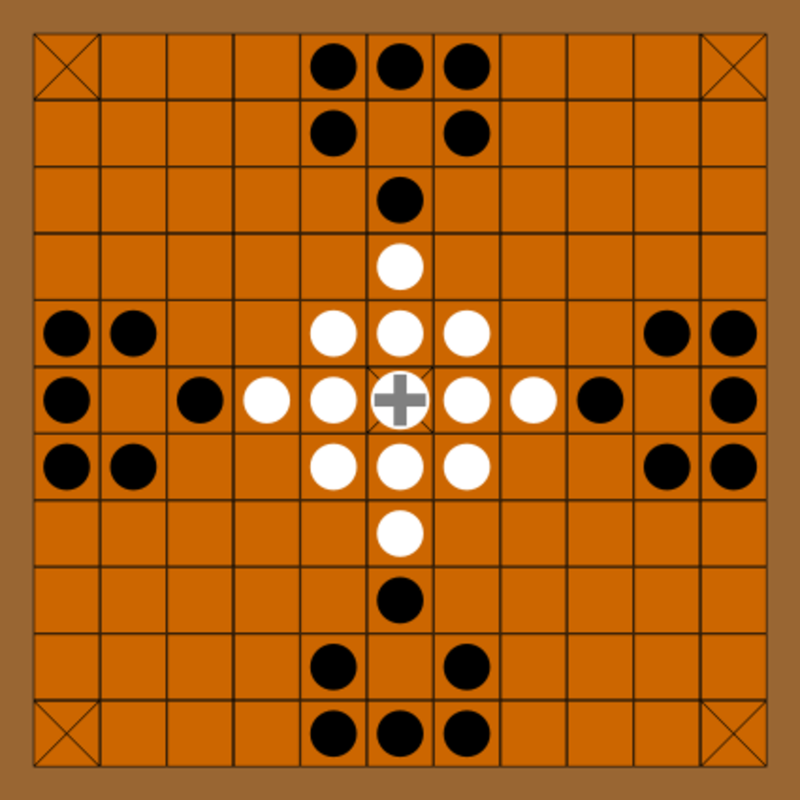 Hnefatafl however was the most popular tafl game by the end of the viking age and was considered to be the game of kings. It's a game that the exact rules have been lost to history, no one knows exactly how it was played. 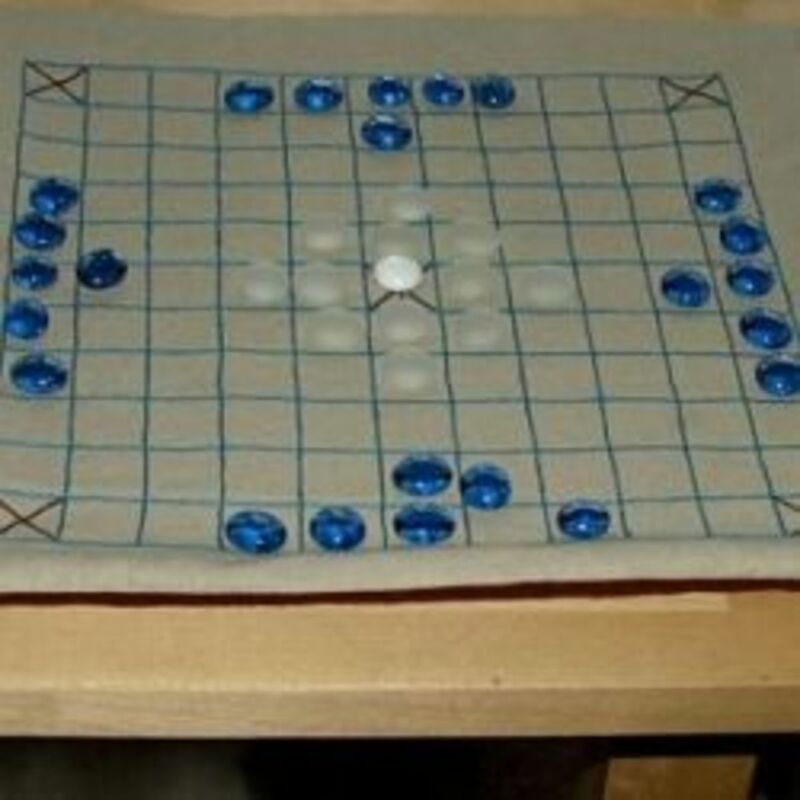 Several attempts have been made to recreate the game and in certain groups, such as the SCA, hnefatafl is a popular game to play once again. 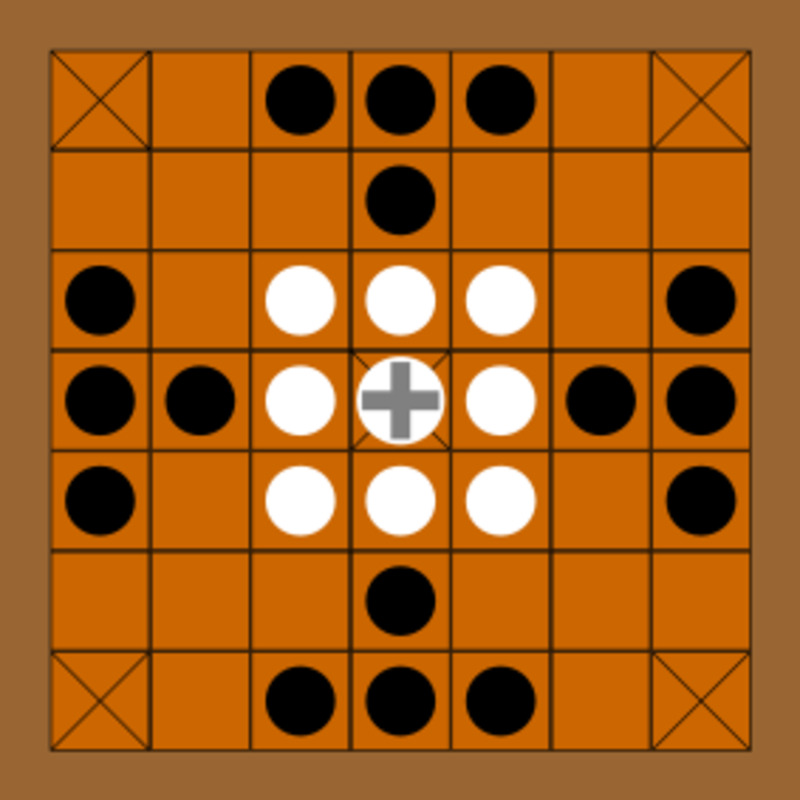 Image is of a hnefatafl board I made. 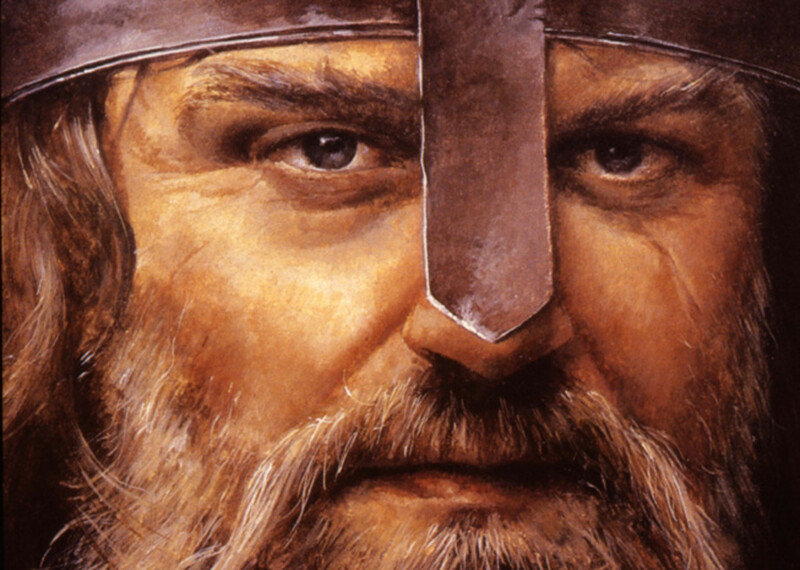 The sagas of the vikings are the primary source of almost all of modern knowledge of the culture of the Vikings. These sagas are part mythology, part history, and part poetry. I have selected those sagas which contain some of the best examples of Hnefatafl being played by vikings. 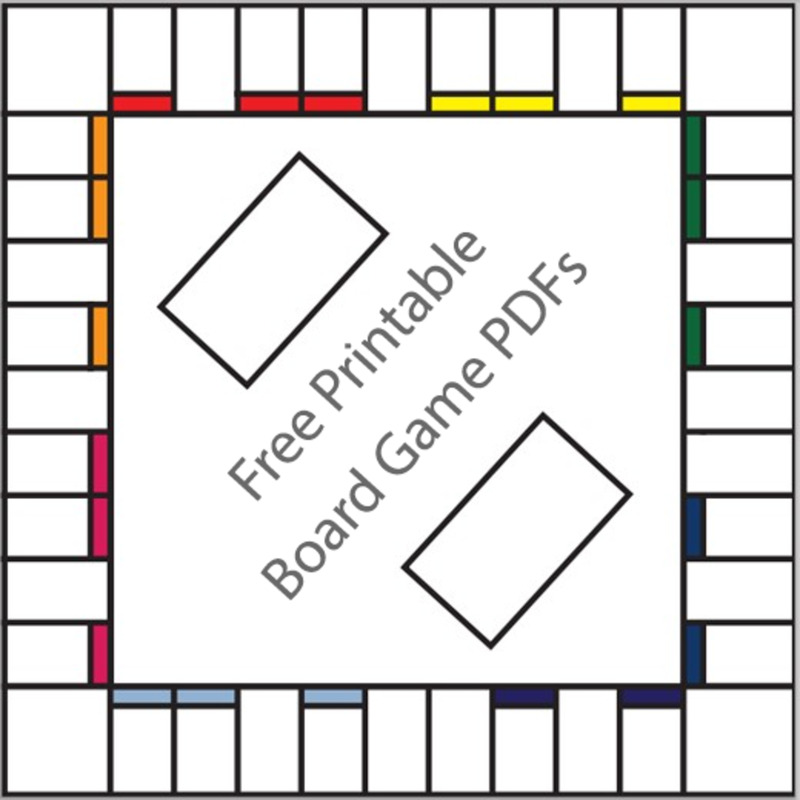 I have also included Robert Charles Bell's "Board and Table Games From Many Civilizations" as it contains a suggested method of play and some great examples of extant boards and pieces. 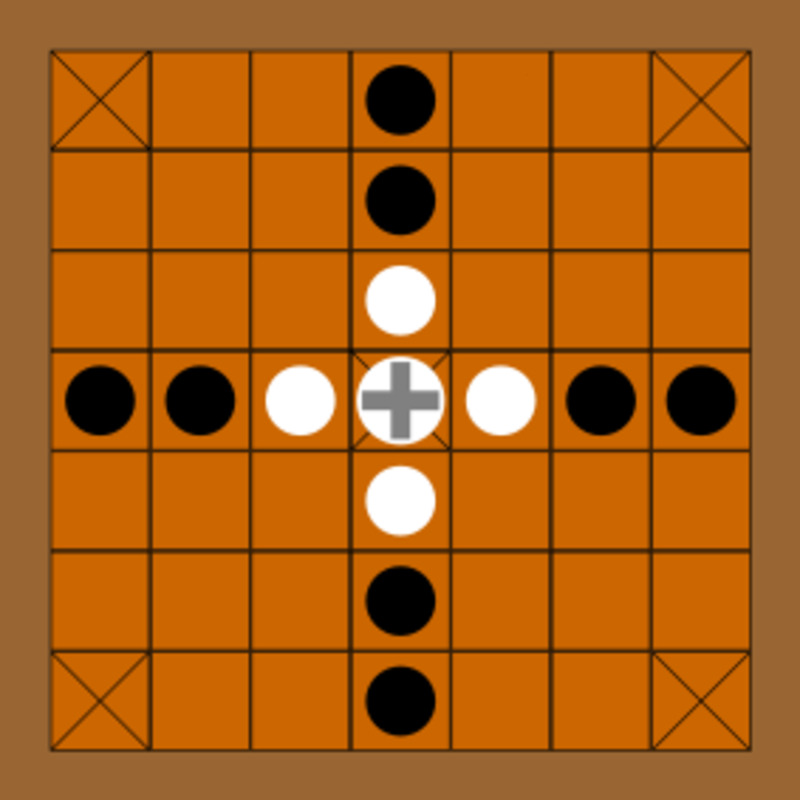 This is the layout of the standard Hnefatafl game board. 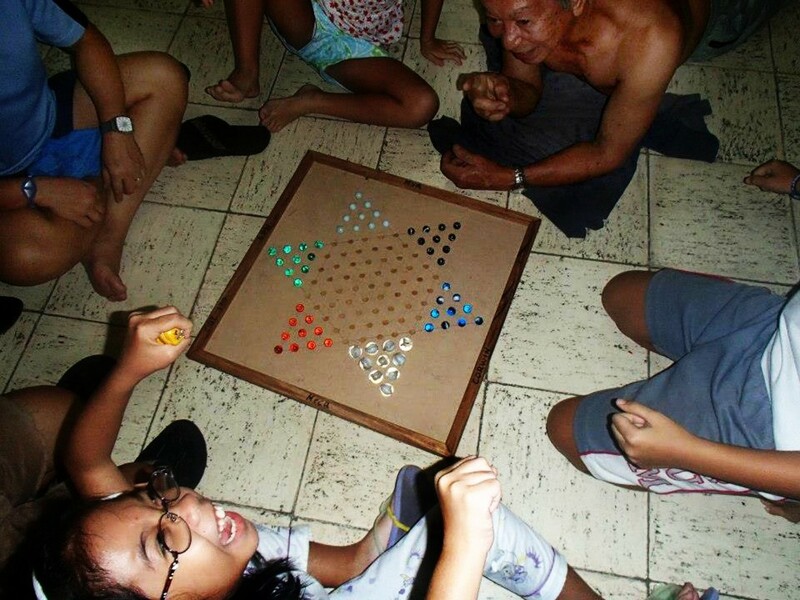 The white pieces are the attackers, and the red, the defenders. The red piece with the cross is the king. As you can see the attackers far outnumber the defenders, in fact there are twice as many attackers as there are defenders, don't let this fool you, the attackers do not have the advantage in hnefatafl, the game favours the defenders considerably. Many players don't consider a person to be skilled at hnefatafl until they master winning as an attacker. A really nice period looking table. It looks like the pieces may have been modeled after the Lewis Chess Set. 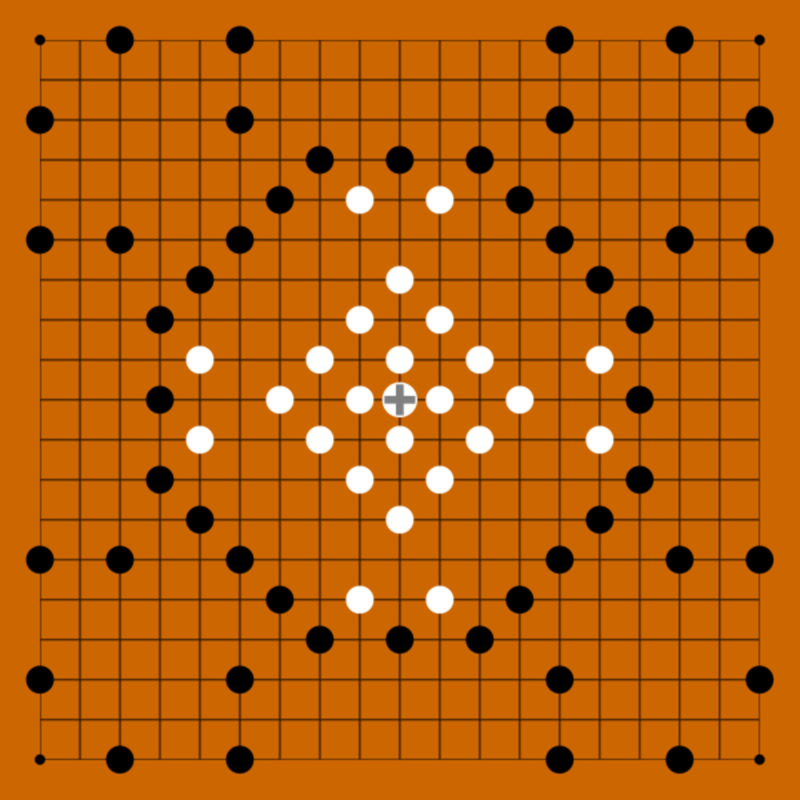 Hnefatafl is an extremely simple game to learn, but an exceedingly difficult game to master. All men move in the exact same fashion. They can move any number of squares up down or side to side, diagonal moves are not allowed. The attackers cannot land on the king square or the corners. In some variants the defenders cannot land on the base (starting positions) of the attackers. As I mentioned earlier the game is weighted in favour of the defender, this is due to the fact that the king is such a powerful piece. Every other piece can be captured by having two opposing men on any two of the four surrounding sides. The king however requires that three opposing men take him (some variants require four). 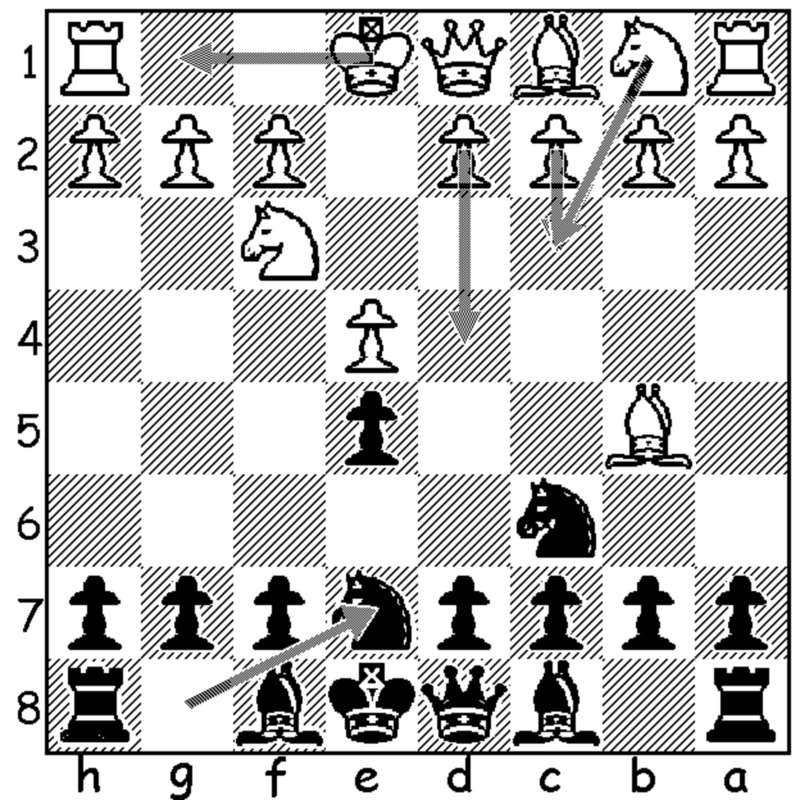 However a capture does not occur if a player moves into a position that would result in a capture, in these cases an extra opponent must move into an attack position. 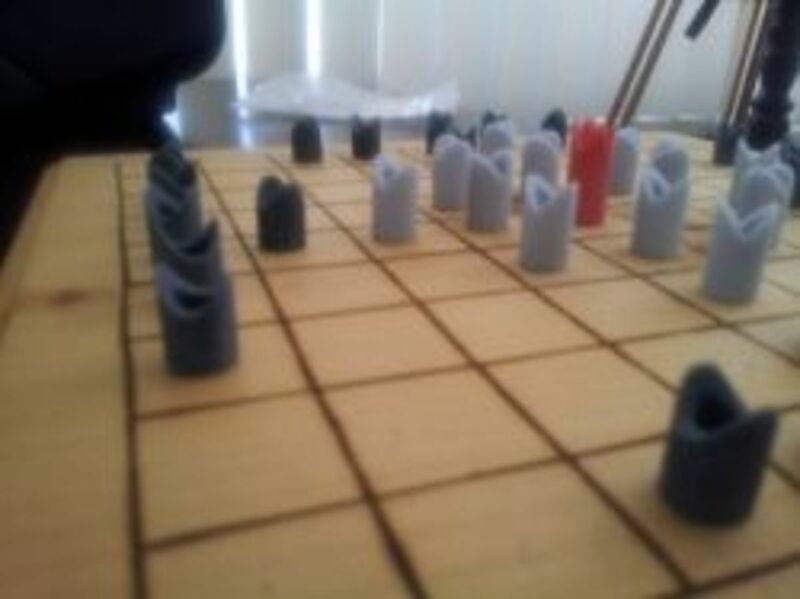 The reasoning for the capture method is that hnefatafl is seen as a battle ground and each piece represents a viking warrior. A single warrior can hold off another indefinitely, however if a second warrior moves in then the warrior is outmatched. Now if a single warrior surprises two warriors he can again hold them off, a third warrior is required. In the case of the King the King is the most powerful warrior in the land, as such he can handle more warriors at once. 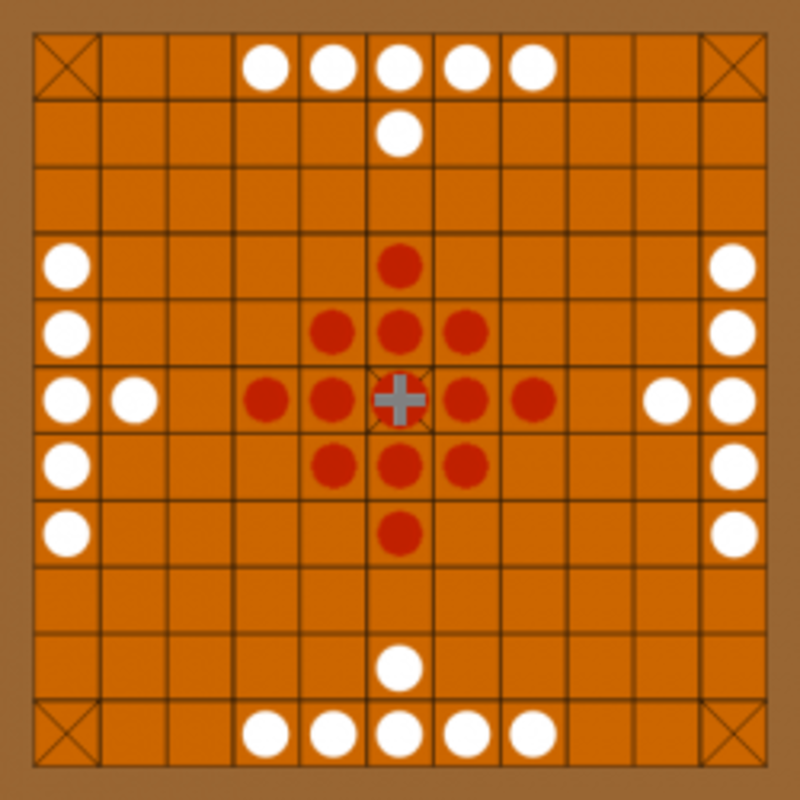 The game ends when the attackers capture the king or the king "escapes" to one of the four corners, or in some variants just to any edge of the game. I've never heard of this before, but you've got a great explanation here. @JoshK47: It is quite a fun game. Faster paced the chess, but still mainly strategic. This seems pretty cool! I may need to try this out!